1/01/2010 · McGarry tells a compelling story, based on many first-hand accounts of the 1916 Easter rebellion in Dublin He also discusses why it was doomed to failure but ultimately led to the creation of the modern day Irish Republic. McGarry is a lecturer in Modern Irish History at Queen’s University in Belfast and this is his second book on the events around the Easter Rising of 1916. His previous book, entitled The Rising was published by Oxford Press in January 2010. 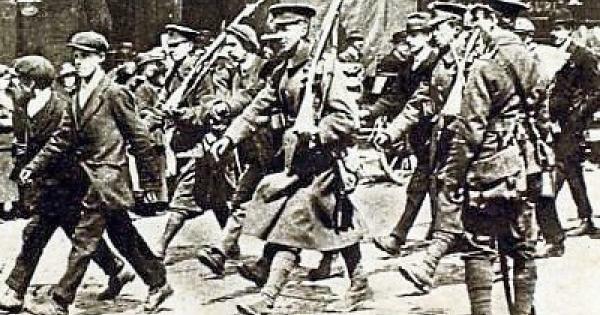 Introduction ↑ On Easter Monday, 24 April 1916, over 1,000 poorly-armed Irish separatists occupied prominent buildings across the centre of Dublin, triggering a week-long battle for what was then one of the major cities of the United Kingdom.